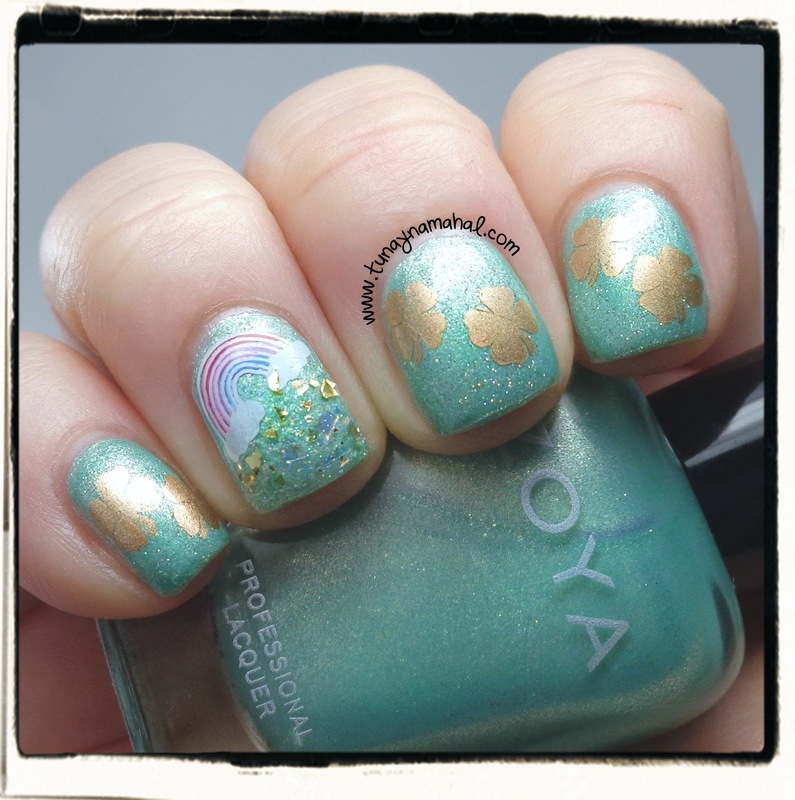 St. Patricks Day with Zoya Dillon! I hope everyone has a Happy St. Patrick's Day tomorrow. I did some festive nails with Zoya Dillon (press sample) from the Awaken collection, China Glaze Fairy Dust, Cult Nails Feedback & Maybelline Bold Gold. I used Winstonia Store 1st Gen stamp plate: W105 for the shamrocks and rainbow. I also made my first stamp decals! I made them on parchment paper after checking out a few youtube tutorials. I used Konad white and two Sally Hansen Insta-Dri colors to fill in the rainbow decals wit a nail art brush. Then after I peeled them off the parchment paper I cut it down to size and put the decal on my nail with Seche Vite topcoat over it. P.S. 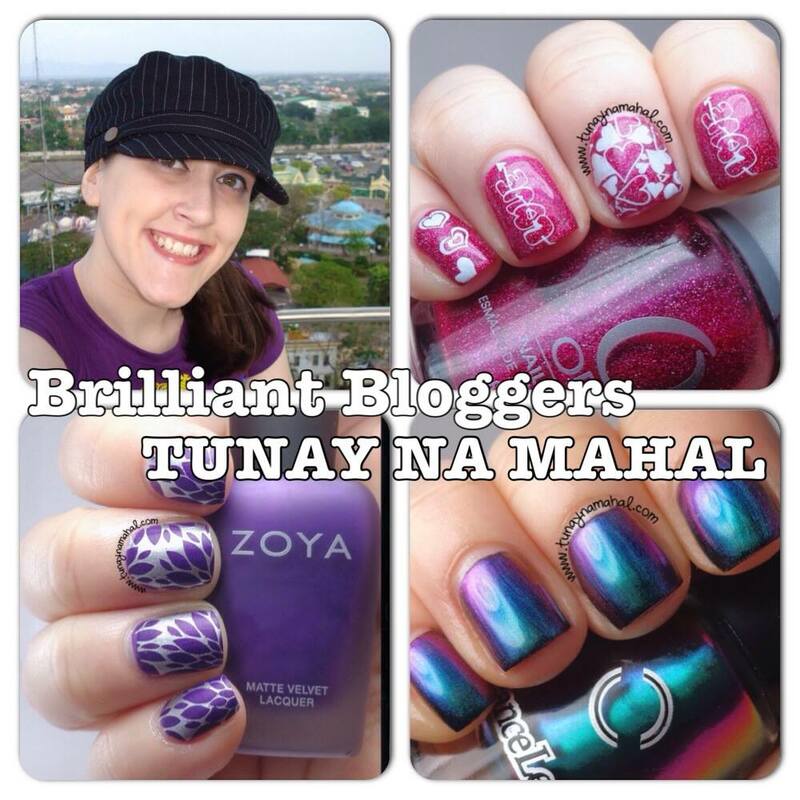 Tunay Na Mahal was featured on The Mercurial Magpie today!